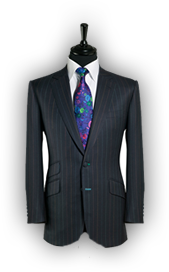 Bespoke tailor made suits, cut and fitted on the premises and tailored to the same high standards as the world renowned Savile Row tailors. 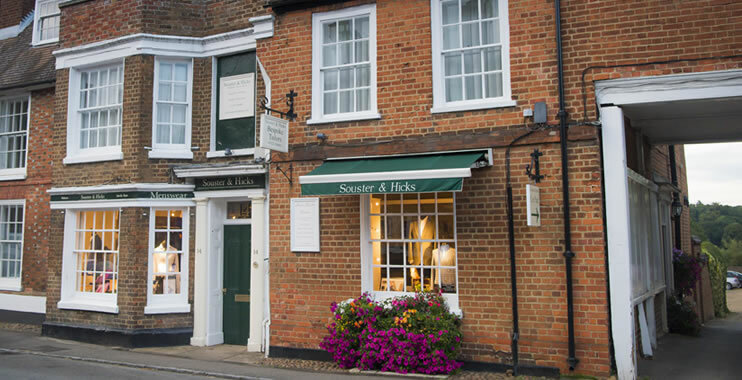 Established in 1978 by Geoff and Laura Souster, Souster & Hicks is a family run bespoke tailors located in the beautiful village of Woburn in Bedfordshire. 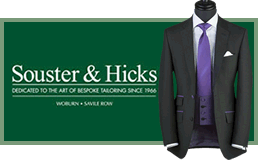 Whatever time of year and venue, Souster & Hicks can tailor your bespoke wedding suit to your exact needs. We have a vast collection of fabrics from the world’s leading cloth merchants that include lightweight merino wools, mohair’s and silks for the summer, through to a superb collection of tweeds for winter. 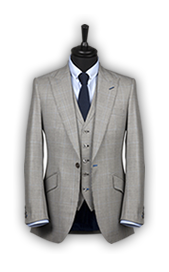 With all our years of experience and knowledge we can help you create a bespoke suit that can be designed in such a way that it can be worn for multiple occasions after your wedding day. 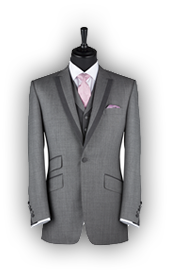 Whatever time of year and venue, we can tailor your bespoke wedding suit to your exact needs. We have a vast collection of fabrics from the world’s leading cloth merchants that include lightweight merino wools, mohair’s and silks for the summer, through to a superb collection of tweeds for winter. 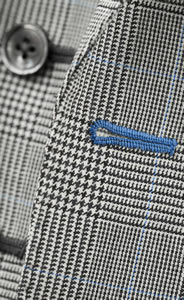 Over the years we have become one of the most well-known and respected bespoke tailors outside of London’s Savile Row. In 1988 we were the very first bespoke tailors to feature on the BBC programme “The Clothes Show”. In the same year Geoff was elected as the National President of the Federation of Merchant Tailors by his Savile Row peers, making him the youngest bespoke tailor ever to hold this prestigious office. Following in the family name both of the Souster sons, Scott and Wes, work in the business, sewing, drafting, cutting and designing. 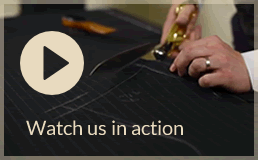 They’re now able to continue the future of the Souster name within bespoke tailoring. "I first discovered Geoff on the net four years ago, having never had a bespoke suit made before I was not sure what to expect. What I found was a fantastic family business run by a wonderfully skilled, funny and helpful crew. The cutting is Savile Rows finest quality but you can get this service in Woburn! 14 suits, 3 Jackets, 18 ties and 46 shirts later I think you could say I was a satisfied customer. 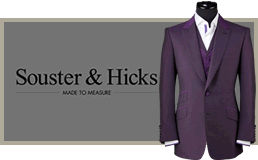 If you have never ventured into the world of bespoke tailoring before this is the firm to do it with. If you ask nicely Geoff and the boys will even make you a cuppa. Laura Souster also does some fab ladies jackets and blouses of which my wife has 3. Thank god they don't do handbags!" "One of the essential ingredients for a performer of my type is to look good on stage. 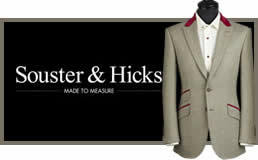 With Souster & Hicks as my tailor I can always be assured of that. I can safely say that I have never felt so good in a suit." "I went to Geoff to see if I could recapture the pleasure of a handmade suit which was the norm when I was growing up in Liverpool in the 60's. 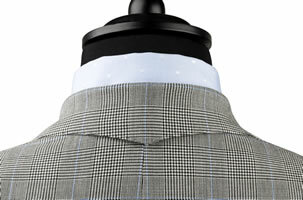 Geoff was professional personified and helped me back into the 21st century with a truly superb lightweight wool suit. 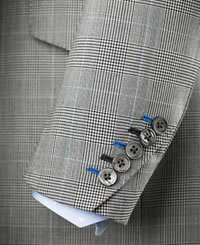 He kept my quirky cuffs and added his signature lapels to create a suit which draws compliments every time I wear it ! What a memorable experience from start to finish. From a very grateful Philip Melville !" "I always dreamed of having a made-to-measure suit. About 12 years ago, Geoff fulfilled that dream and I have been going to him ever since. Now I have a wardrobe full of bespoke tailored suits, jackets and shirts. When I am out in his clothes I always get favourable comments. About 8 years ago I mentioned I saw a suit in Milan with a fancy lining and Geoff took that idea and the rest, as they say, is history. He has so many tricks up his sleeve now in terms of making me look presentable but with a twist, his suits are far superior to any I see about London." 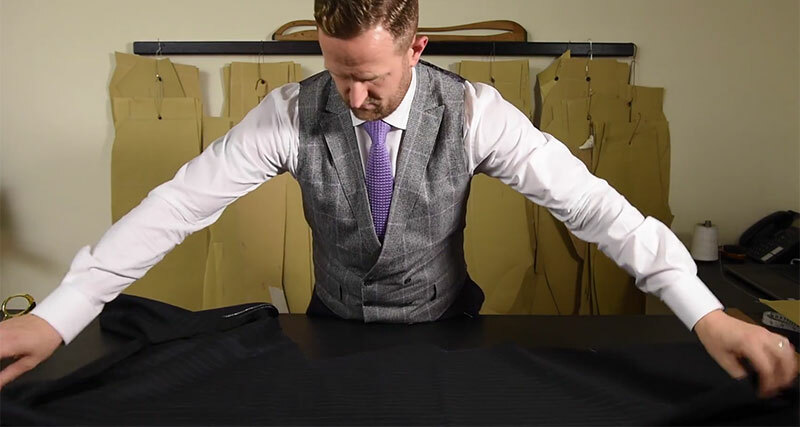 Bespoke tailoring is when a suit or other type of clothing is created for a person, based on their individual body measurements and preferences. 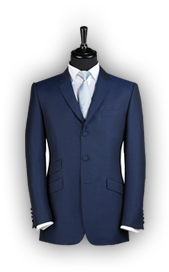 These preferences can include materials, specific button hole colours, types of lapel and lining options. 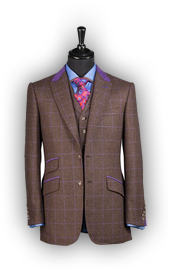 A true bespoke tailor makes a suit that is crafted and sculpted around a man or woman’s body shape, spending many, many hours created a stunning looking suit. 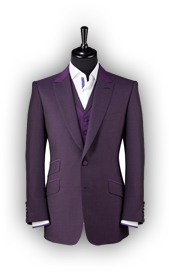 A great bespoke suit should almost feel like it’s not there and will make the person wearing it feel a million dollars! What’s behind the word ‘Bespoke’? It comes the verb ‘bespeak’, i.e. speaking for something. 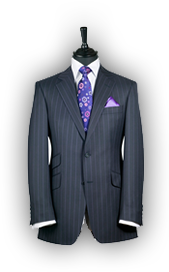 Its use in fashion has been mainly linked to men’s suits, although recent years have seen the term applied to women’s clothing too. Bespoke suits, shirts and jeans contrast with factory produced, off the shelf clothing that is found across our high streets. 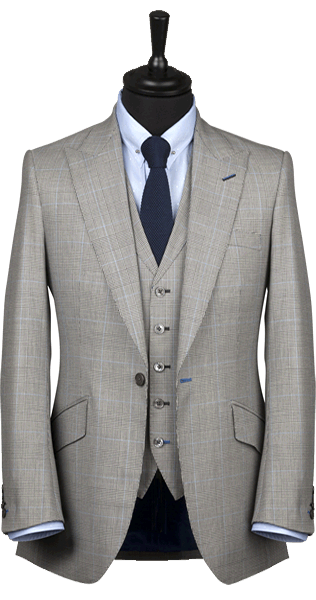 Once you’ve worn a bespoke suit and seen the quality of both fit and fabrics, it’s very difficult to go back to a ready to wear suit.